I have now used a CPAP machine for over seven years for severe sleep apnea and it not an exaggeration to say that it has literally saved my life. However, that means that when I travel I need to take my CPAP machine with me. I have now taken a CPAP to four continents, off grid camping, in a wide variety of circumstances and lodgings. I thought I would write down some suggestions for those who might be new to traveling with a CPAP and note a few of the things I have learned – some the hard way. 1. NEVER place your CPAP in checked luggage, no matter how carefully it is packed. It can easily get lost or broken. A CPAP is considered necessary medical device and is NOT counted as a ‘carry-on’ item. Always carry your CPAP with you. Be aware that your CPAP will be examined when you go through security. You will have to take it out of its case and it is often swabbed for explosives. I have been on some airlines with powerports/plugs at my seat and have used my CPAP on long flights. I carry a 12v adapter plug and an “EmPower” adapter. I always warn the person seated next to me first, so they don’t get freaked out, and always try to get a window seat if I plan to use the machine. For complicated reasons, it is best NOT to use a powered humidifier on an airplane. 2. Before you leave, contact your CPAP manufacturer and get the contact information for their distributer or service center in the country you are traveling to. If you have a problem or a broken machine, this can save you a couple of days trying to find the right person to contact for help. 3. I carry a big enough suitcase so that when I land I can put my CPAP in the suitcase. It makes it easier to get around. However, take it out when you get on a bus, drop it in a hotel lobby – anytime someone else will be handling your suitcase and not be aware (or care) that there is something very fragile inside it. 4. 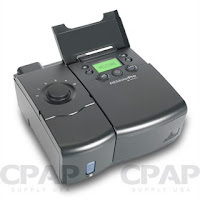 Voltage – Frankly, if your CPAP will not run on both 110v and 220v, get one that will. Converting the voltage is too complicated and wrought with problems. I take with me several different plug adapters to plug the machine in. I have learned that you can’t trust all plug sockets to be alike and do not assume your hotel with have adapters. I have been told that all expensive electronics should have surge protection and have been in enough hotels that have had electrical issues to believe this is especially true when on the road. So, I take a surge protector (I use a EuroSurge) and plug my CPAP into it. 5. One of the most useful things I carry is a nine foot extension cord. Often there are no available electrical outlets near the head of the bed (or they are buried behind the bed). In a few hotels, I have had to run a cord into the bathroom. Don’t discount how helpful one of these cords can be. If your extension cord is three-prong (mine is), also take a two prong adapter. 6. If your CPAP or mask has any especially fragile parts, take a spare. I take a spare elbow valve. Some people carry spare mask. 7. I use bottled water for my humidifier, as I find it hard to find or carry distilled water. This works fine for me, but be aware I have run into people who cannot tolerate anything other than distilled water. 8. Finally, be aware that CPAPs can be affected by high elevations, where the air is thinner. If you are traveling to a very high location, I would suggest that you contact to manufacturer before you go to see what they recommend.